← “The purpose of life is to be defeated by greater and greater things…” – Rainer Maria Rilke. ‘You do not need to leave your room. Remain sitting at your table and listen. Do not even listen, simply wait, be quiet still and solitary. The world will freely offer itself to you to be unmasked, it has no choice, it will roll in ecstasy at your feet.’ – Franz Kafka. So I walk past a shop window and a detail on a table stops me dead – just like that – I loved it and then moved on and forgot it as you do. Then not so long back – the tiny dining table/desk I made for my partner and I to eat/work off in our tiny home was just too restrictive for social effectiveness – now I don’t claim to have a lot of friends and socialising is pretty low on the agenda, but every now and then one of the finest and most foundational things that makes us human is sitting down together and breaking bread. 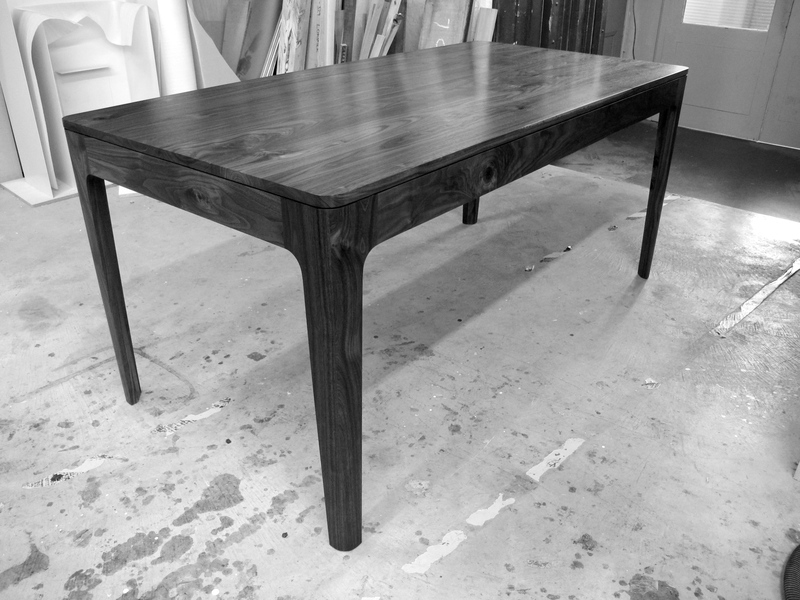 So I made us this reworking of the table I saw so briefly – and talking it through with our favourite architect – the extremely talented Mark Simpson of Design Office – it turns out he was involved in the original design of this piece back in the UK. So Mark – when are you coming over for pasta and red wine?